Film-faced shuttering plywood is a common name in the building and construction industries. It is a different type of plywood with a film coating on the surface (may be one side or both sides). The coating makes the plywood resistant to moisture, chemical attack, fungus development, abrasion and other kinds of wear and tear. The plywood maintains its structural integrity even in the extreme conditions. Film-faced shuttering has mostly outdoor applications such as construction of new surfaces and buildings. The shuttering plywood prevents the concrete mould from spilling and deforming. Shuttering boxes are also used in the construction industry to stabilize and constrain wet concrete. Highly durable shuttering boxes can be used repeatedly even under harsh conditions. Ordinary plywood doesn’t provide the desired results. A large-scale application of film-faced shuttering plywood is during construction of dams. It also helps during the maintenance process. The shuttering plywood used here are extremely resistant to strong forces and flowing water. Since its usage and applications are more in construction industry, it is extremely high in strength. Concrete used in the construction industry is made by mixing sand, cement, crushed stone and water. The material becomes extremely hard on drying and exerts force on shuttering plywood. Hence, it has to be strong to withstand high forces. Since concrete casting process involves both wet and dry conditions, the film faced shuttering plywood has to be durable to endure these changes. They have to face direct sunlight, extreme heat as well as wet conditions. 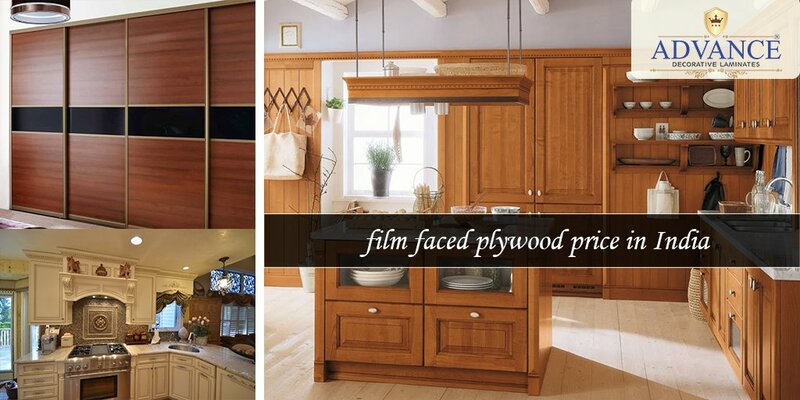 Film faced plywood is reusable. The plywood shutters can be dismantled once the construction process is over and can be reused again somewhere else for concrete shuttering. However, this is possible only when the plywood is handled with care. Smooth surface of shuttering plywood is essential to prevent concrete from sticking to its surface. The smooth surface also gives the concrete mould a smooth finish for better appearance. Since the use of shuttering plywood is mostly in concrete casting under harsh conditions, it has to be dimensionally stable to withstand the construction environment. 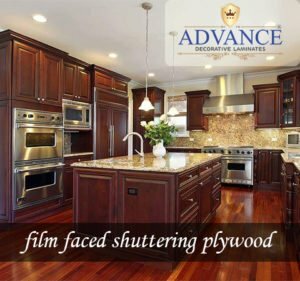 As expected, the cost of film faced shuttering plywood is a little higher than normal plywood. However, the quality also decides the price. 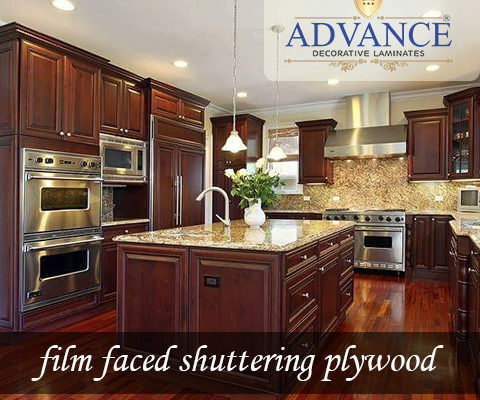 Manufacturers like Advance Decorative Laminates maintain reasonable film faced plywood price in India.